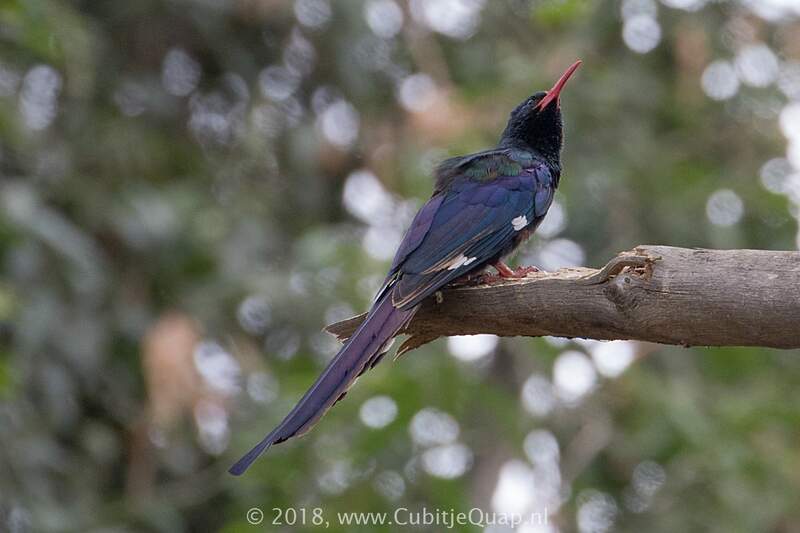 Larger than Common Scimitarbill, this species has a long, decurved, red bill, red legs, white wing bars and a long tail. 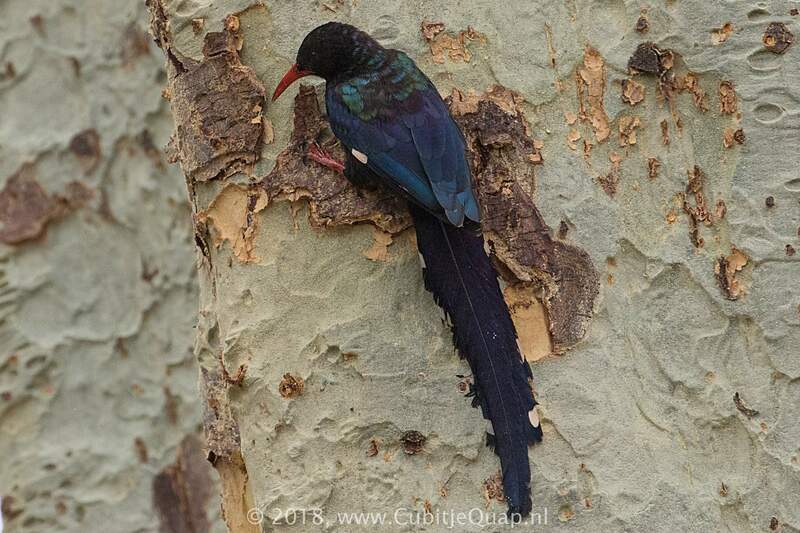 In good light, the bottle-green head and back of this species distinguishes it from Violet Wood-Hoopoe. 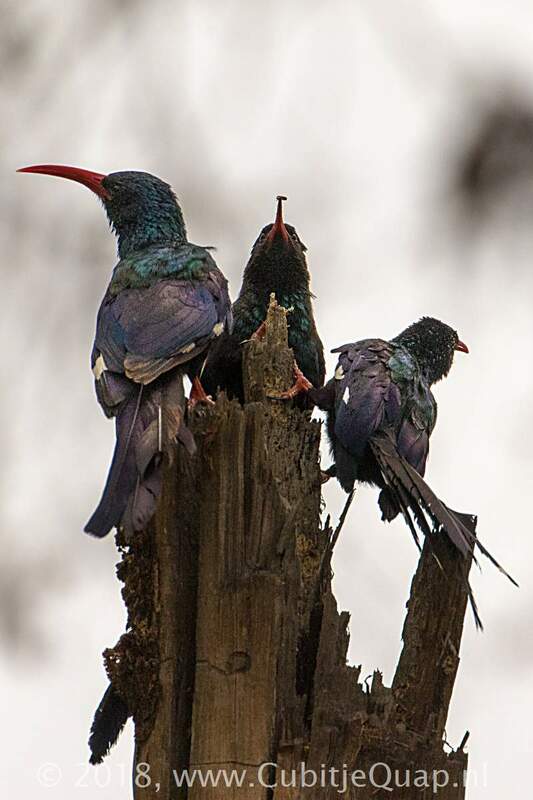 Female has the bill less decurved and shorter than that of male. 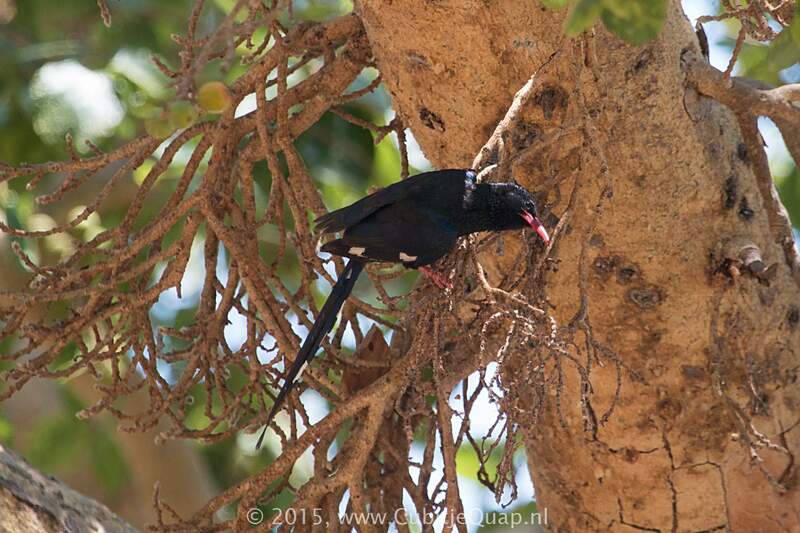 Juvenile has a black bill but it is far less decurved than that of Common Scimitarbill. 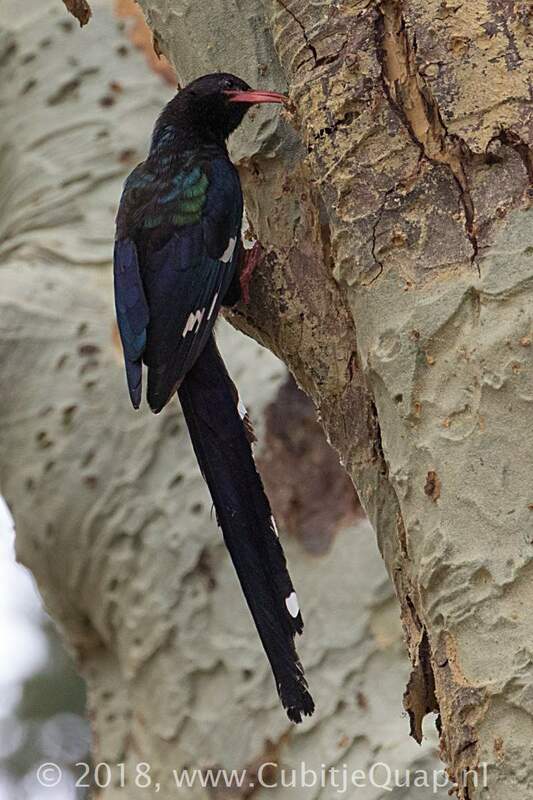 Juvenile male has a brown throat patch; juvenile female has a black throat patch. A wide variety of woodland and thornveld habitats. Harsh chattering and cackling, usually uttered by groups of birds.